Fix "iTunes Could Not Connect Value Missing"
Fix "iTunes Could Not Connect to iPhone Error 0xe"
Don’t worry, you are not alone to encounter error 17 on iTunes when you try to restore or update your iPhone. A great amount of users complain this issue on Apple Discussions. Let’s try these useful tips to get rid of this error. iTunes Error 17 Appear When Restoring/Updating iPhone? Try These! You may have looked around Google for a post with the right solution to “iTunes error 17” but found none. Here are some easy solutions to solve the problem. Note that this issue may not be easy to fixed. If you want to save time and fix this issue easily, take advantages of iMyFone TunesFix first. It is an iTunes repair tool that can fix “iTunes error 17” and other iTunes issues in mere minutes. What’s more, your iTunes data (like backups, media, etc.) is well-protected when repairing. Fix all the errors that “iPhone could not be restored/updated”, like error 1, 14, 2001, 2009, 3014, 4005, etc. Also repair iTunes connect, install, update, backup, running slow and other issues. Automatically detect your iTunes and components and show you the details for free. Completely uninstall damaged iTunes from previous installation without leaving harmful traces. Boost iTunes performance by simply cleaning the junk and corrupted files. TunesFix repair master is not only recommended by use, but also tested and highly spoken of by industry professionals, like ioshacker.com, WindowsInstructed, megebyte, etc. Step 1: Launch iMyFone TunesFix on your PC and it will auto detect your iTunes. 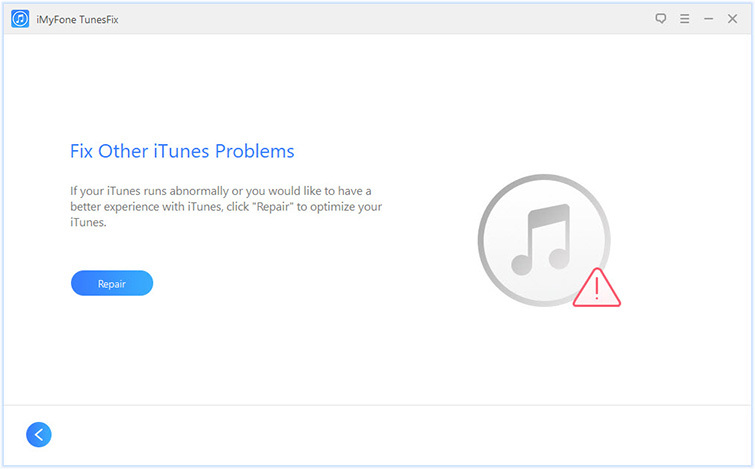 If your iTunes is error-free, you will be redirected to the Home interface. Note: If it shows “Your iTunes is Damaged” with the details of your iTunes and components, you can click “Repair” to fix it. Step 2: Choose any of the repair modes. In this case, you need to select “Fix Other iTunes Problems”. 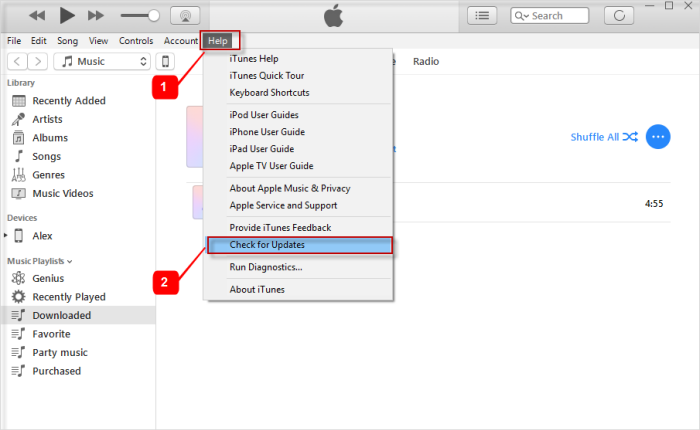 Step 3: Click “Repair” and ensure you keep your internet stable throughout the iTunes repair process. When it’s done, you would be able to restore or update your iPhone successfully. 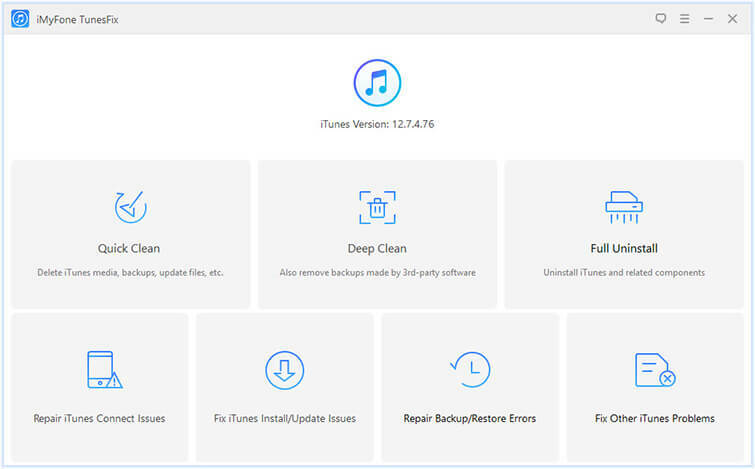 If you’ve tried some troubleshooting methods to solve “iTunes error 17” but with no success, then you should try to update iTunes to its latest version. Updating iTunes to its latest version has been reported to have solved this issue by many iPhone users. Launch iTunes on your Windows PC. Navigate to “Help” at the top of iTunes Windows and click on it. Then, click “Check for Updates”. Follow the instructions/prompts to complete the installation process. This way is more complicated. Please follow the steps carefully. Launch the Notepad program on your PC. From the top left corner, click File > Save as, and type the File name as “hosts”. Save it to your desktop. Open File Explorer and go to %WinDir%\System32\Drivers\Etc. Right-click the “hosts” file and choose Rename. Rename it as “Hosts.old”. Copy and paste the “hosts” file from desktop to here. These steps are for Windows 10. If you are using other Windows version, you can refer to this guide. If you have TCP/IP filtering, firewall, or security software installed on your computer, then you can try these steps to solve iPhone could not be restored error 17. Temporarily uninstall your security software. Make sure that your PC is connected to a working network. Bypass your internet router by disconnecting it from your system. Restart your PC. Then try to update or restore your iPhone via iTunes. The restore function is iTunes only clears the iPhone storage space but does not perform deep cleaning functions, which removes chances for data recovery. Using an iPhone data erasure tool to restore an iPhone give you a better edge over those using iTunes because you don’t need to worry about the safety of your private information. Choose iMyFone Umate Pro today to restore your iPhone to factory mode. Offer you high standard privacy security by restoring your iPhone to factory default with 0% recovery rate. Or you can preview and restore only some selected files to default. Show you deleted files that still remain and completely erase them, making them gone forever. Everything is erasable: messages, search history, call logs, contacts, photos, videos, WhatsApp, WeChat, Kik, Snapchat, Facebook, YouTube, Line, etc. Receive positive reviews from industry professionals, like getintopc.com, MacWorld, APPKED, etc. Step 1. Download, install and launch iMyFone Umate Pro on your PC. Connect your iPhone to your PC using Apples original USB cable. Step 2: Select “Erase All Data” mode. Click the Erase button. 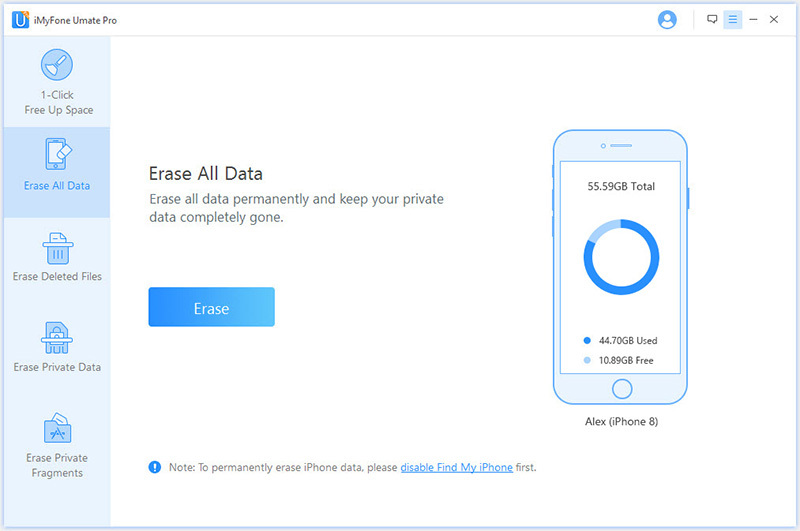 Or choose “Erase Private Data” to selectively restore iPhone data. Or tap “Erase Deleted Files” to view and wipe previously deleted files which are still recoverable. Or select “Erase Private Fragments” if you want to secure your 3rd-party app experience. Step 3: Type “delete” into the box, and select your security level. Click “Erase Now” tab to restore your iPhone to factory settings. In all, iMyFone TunesFix is the ultimate fix for all iTunes issues and errors including “iTunes error 17”. 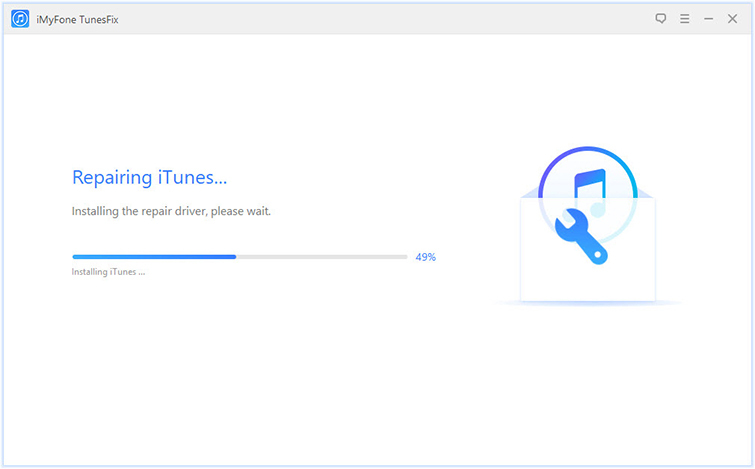 You can use this tool to repair your iTunes and enjoy a better experience.